And what gem do we all now have in our midst thanks to the family of GS? 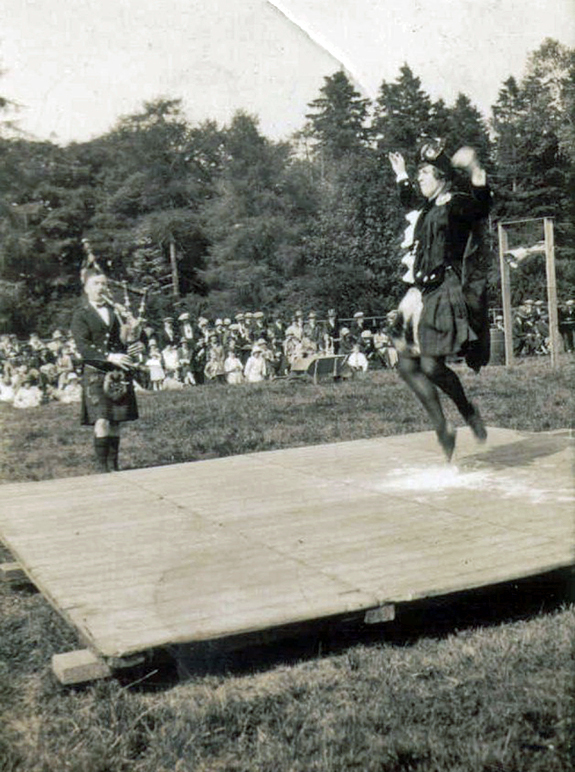 Nothing less than a fantastic photo of GS McLennan playing pipes as Mary Aitken danced at the games. It just doesn’t get much better than that! And for those analytic types here’s a close-up of the great man’s hands; it appears the note B was being sounded as this was taken; maybe after having just played a darado from the now-classic strathspey for the Highland Fling, “Devil in the Kitchen”? Hamish also passed along some interesting intell that sheds light on another bloggie effort I made in 2012. Then I wrote of GS’s stature. No fine points made: he was evidently not of average height. 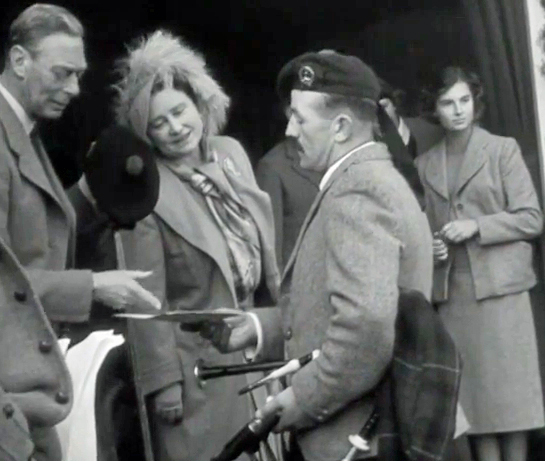 Here is GS’s son, George, receiving recognition from King George VI, pictured here, accepted this award on behalf of his late father – this following the first public performance of the tune, “The Braemar Gathering”. 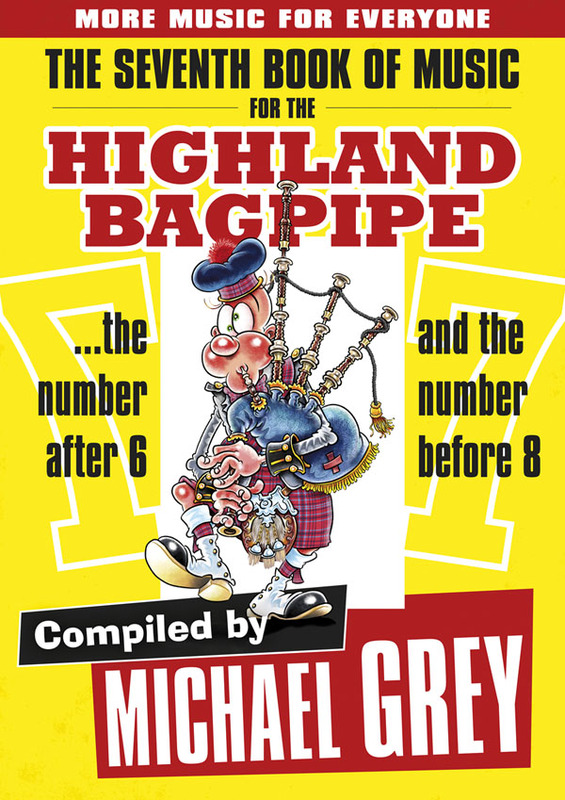 GS’s half-brother and piper of his own renown, D R McLennan, had submitted the previously unpublished tune to Braemar Games as an entry in their tune composition contest. And all this fantastic history courtesy of Hamish McLennan. A good reminder to do what you can, while you can, to know your personal history.